Thanks to Duncan Epping who shared the awesome news the other day in which ALL VMworld US 2016 sessions are now freely available to the general public regardless if you attended VMworld or not! This is definitely fantastic news and kudos not only to the VMworld team for doing this but also having it done right after a US holiday. To access the playback videos, you simply just need to register at http://www.vmworld.com/en/sessions/2016.html. Once you have done that, you will be taken to the page shown below with all the VMworld sessions since 2010. Although the site allows you to search and filter the content, I personally prefer just a simple list of the titles and direct playback URLs. In the past, I have scraped the VMworld site to build such a list and figure I do the same this year. Luckily, this year it was not as difficult as it was in the past as it looks like some of the data is JSON encoded which makes it trivial to parse into the format I want. With that, I have published all 539 sessions with direct links to the playback URLs on the following Github project: https://github.com/lamw/vmworld2016-session-urls which you can easily bookmark and hopefully allow Google to also index for searchability in the future. Enjoy! This is amazing, thanks so much for doing this. Thanks a lot William for doing this. To download all videos very easily I used Firefox with DownThemAll! extension. One thing to have in mind is to use mask *text*.*ext*. 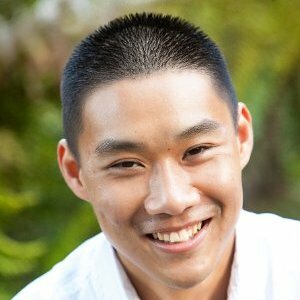 Hi William, Suddenly today Sunday, we have lost our Github permissions (Failed – Forbidden). Also Mediasite have added Download button with zip behind it downloads which is much slower process! time saver, its great to see all in at one place. Thanks for the pointers. I am also seeing forbidden permissions error for some of the links, hope we get updated links. Again, thanks for the direct links. I am getting a lot of 403 errors when clicking on many of the download links. Anyone else? Me to. For example session: SDDC9461-SPO – Veeam Availability Suite 9.5 Deep Dive. 1. I ran Alan Renouf’s powershell script against the site on Sunday and out of 544 mp4’s it downloaded just 99 of them with all the remainder links broken? 2. Since William and Alan provided the very useful URLs and scripts, Mediasite might have moved things around since then? 3. 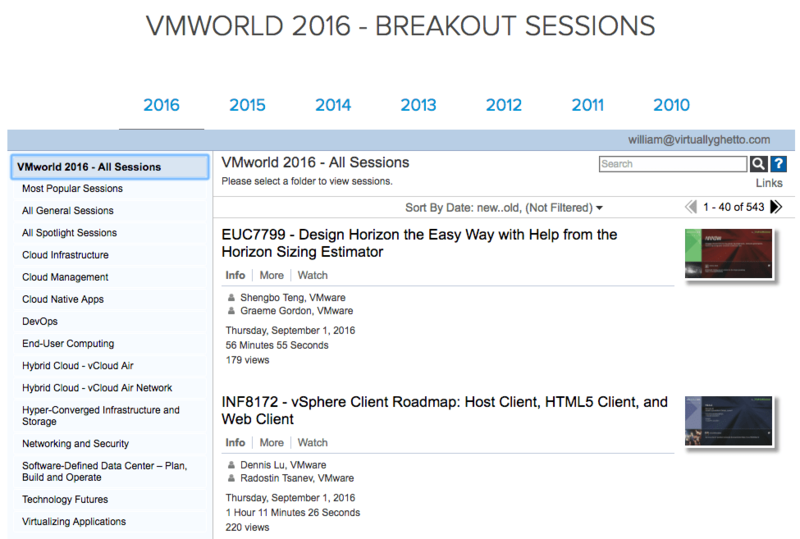 Mediasite have updated the sessions downloads at http://www.vmworld.com/en/sessions/2016.html. You can download the zips vis the “Download” button, unzip and find the mp4 in the content folder. Maybe if William could update the “playback-urls.md” as he has the permissions the automated download scripts may again work? UPDATE: With a bit more hacking around, I have now also created a second list of all the VMworld sessions with their respective download URLs. Please have a look at the Github repo for more info https://github.com/lamw/vmworld2016-session-urls. I’ll try the new download URLs this evening. Being scripting novice is there a nice way to replace the special characters in the session name like ? and ! so the filenames do not end up like E17P03~5.MP4? the raw downloads seems to need another update. Getting a bunch of 403 errors again, some are working. but most are not. Indeed Jeff, only 152 out of 544 are correct. There’s a few folks who’ve mirrored the content, such as Timo: http://vstuff.org/VMworld2016-Vegas/ So if you want to just download it from another consistent source, that’s one I would recommend. Thanks Sir, Awesome and very useful information.